A new rule introduced into the ESNZ General Regulations will see all riders competing in ESNZ events having to wear approved safety helmets from August 2017. A new rule introduced into the ESNZ General Regulations will see all riders competing in ESNZ disciplines having to wear approved safety helmets from 1st August 2017. 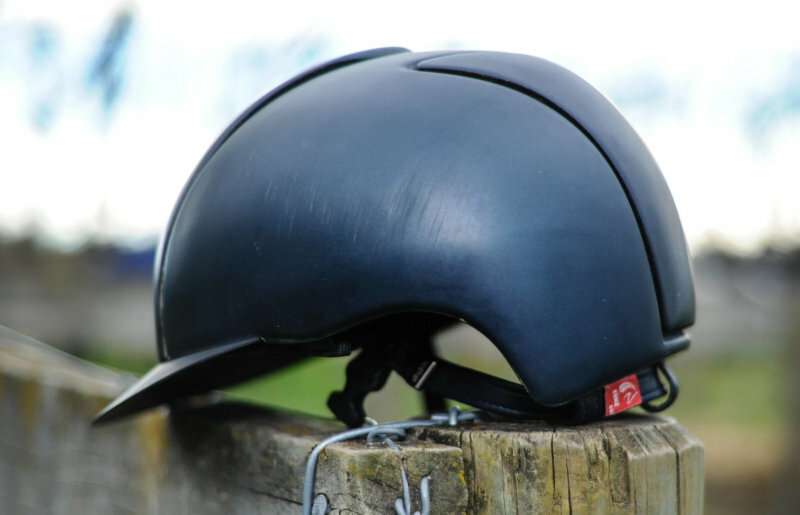 The ESNZ rule now states that all riders must wear an approved safety helmet in competition – the accepted safety standards can be found at all times on the ESNZ website. Helmet checking and tagging will continue at events, and some special helmet tagging sessions, indefinitely. ESNZ and New Zealand Pony Clubs Association have signed a joint memorandum of understanding to support the single tagging policy for New Zealand equestrian events and activities held by either of the two organisations. As such, a joint ESNZ/NZPCA branded helmet tag has been produced. Once tagged, with the new red tag, a helmet will be allowed to be worn at all events and activities of either organisation. Please note: RAS will also be following the lead of NZPCA and ESNZ with regards to helmet standards and tagging of helmets. The move to approved safety standards is in recognition of the importance of safety in equestrian sport and is being taken seriously by ESNZ. What will happen if I don't have my helmet tagged? At ESNZ we take riders safety very seriously; and the ESNZ General Regulation Article on protective headgear has recently been updated to reflect this by introducing a warning / fining system for those competitors who fail to wear approved tagged protective headgear. Where can I find the standard/s on my helmet? Standards are found either directly on the helmet (outside on inside the shell), on a sticker, printed directly on the lining, or on an information tag, which is usually attached to the lining. Standards on the helmet linings ARE acceptable for tagging and competing in. Why is my EN 1384 standard no longer OK for competition? In October 2014 the EU Commission announced the withdrawal of the European equestrian riding helmet standard EN1384. The EN1384 standard was removed because not all the Basic Health and Safety Requirements (“BHSRs”) of the applicable European Directive were being correctly addressed by the standard. As a result of the withdrawal, this standard no longer offers a presumption of conformity, so it can no longer be used (or used alone) by equestrian helmet manufacturers to certify the conformity of their product with the European specifications. ESNZ have chosen to take this directive seriously, but with a fair length of lead in time, giving riders until the end of July 2017 to replace their old EN1384 standard helmets with compliant helmets, for use in competition. My helmet has the EN 1384 standard (only) plus the kite mark - is this compliant? The various standards relate to the country they are certified in, but all standards meet the same high safety requirements. I.e. Europe are now using VG1, the UK use the PAS 015 standard; USA use ASTM-F1163 and NZ and Australia use AS/NZS 3838. My helmet has ASTM-F1163 11 - is this compliant? I've read that the VG1 standard is an interim standard, what does that mean? This development is composed of a few technical modifications which aim to improve EN1384-2012 standard. VG1 is being employed temporarily until new permanent standards are approved, and will span the gap for the CE mark. However, this does not mean that VG1 standard helmets will not be allowed in the future. If my helmet is compliant, but not yet tagged with the red tag, can I still get this done after 31 July 2017? Yes, tagging will still be taking place, at competitions and events and you will absolutely need to ensure your helmet is red tagged before entering the competition arena. Obviously it will be easier for your helmet to be approved/checked (for you to compete in) if it already has a red tag affixed to it. Are there plans to update the standards and regulations again, anytime soon? No, we are quite satisfied with current regulations and have not heard of any changes to these coming in. Who is responsible for tagging helmets? ESNZ and New Zealand Pony Clubs Association are both responsible for tagging and use the same red tags. A joint memorandum of understanding was signed to support the single tagging policy for New Zealand equestrian events and activities held by either of the two organisations. ESNZ have approved several ESNZ Officials and members of staff throughout the country to check and tag compliant helmets. While NZ Pony Club are able to tag helmets for NZ Pony Club members at their rallies, training days and events. Which is the safest helmet? Firstly it is important to understand that no hat can prevent serious injury in certain circumstances. You should choose your hat based on the level of risk involved, aiming at standards offering higher levels of protection where higher risks are involved. The safest helmet is the one that best fits your head! Always seek advice from an expert and buy a snuggly fitting helmet.